AHU(Airside Handling Unit) Selection can configate the units, calculate the ckeck it's parameters to meet customers requirement. 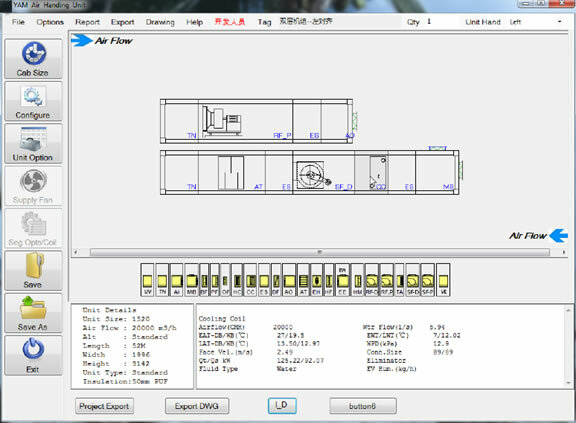 support split the unit for transportation;export all kinds of report, include sales order report, performance report and unit 2D layout. 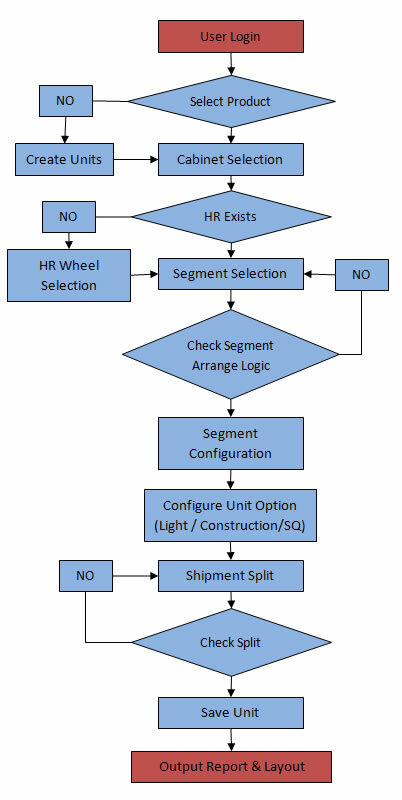 Drag & drop segment in unit configuration, easy to use for all sales. Contains 23 segments, automatically check match or not and split it for transportation. XML report formats for use. 1:1 original DWG format for unit layout. Parameters driven, easy to change the parameter and update automatically. Import the report from Selection software, Order system can generate the product BOM, purchase order and product 3D model/2D drawing and DXF for sheetmetal.